Is Jam Vegan? Is Jelly Vegan? This guide will answer all of the questions that you have on the subject. Answer all your questions about the vegan status of jam and jelly. 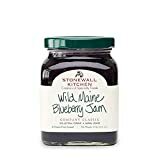 List of vegan jelly brands and vegan jam brands. Show you some awesome and healthy recipes you can try at home. What Ingredients Should Vegans Be Aware Of? Is It Hard to Make Vegan Jam At Home? We've answered some of the most common questions surrounding vegan jam, jelly, and preserves below. Should you have any more, be sure to let us know in the comment section. Most store bought jelly brands are indeed going to be vegan as they use pectin (a naturally occurring fruit-based thickener) rather than gelatin to give the product its firm and jiggly texture. Although it is indeed possible for some brands or recipes to call for gelatin, it doesn't seem to be a common practice. Jelly is smooth and doesn't contain any seeds or fruit chunks. We've included brands and recipes with more whole foods and less processed sugar below, but just wanted to use a mainstream brand as an example. Jam is basically the same thing as jelly except it is formulated to be slightly looser and contain more pulp or fruit pieces/seeds. The majority of brands and recipes out there will use pectin and not gelatin - much like jelly which makes most jams 100% vegan. Again, a bunch of less processed alternative brands/recipes are compiled below. Preserves contain more whole fruit than both jam and jelly and typically use the same thickening agents. That being said, they should be vegan most of the time unless gelatin is used. 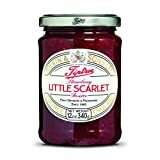 Although the definitions might be technically different, jams and preserves can sometimes be used interchangeably. Marmalade and/or preserves contain chunks of fruit, seeds etc. Marmalade, jam, and preserves can sometimes mean the same thing depending on the region that you're in. However, it is important to note that marmalade typically refers to citrus based spreads made from lemons, oranges etc. The only ingredient that you should be aware of is gelatin which we've mentioned previously. Its certainly not a common practice, but it is possible that a manufacturer might put it in in certain niche brands. Some specialty jams contain meats such as bacon, but those are obvious to spot. Pectin is readily available in the most grocery stores and ​jams, preserves, and jellies usually have few ingredients and easy to follow steps. All you need is a masher or immersion blender. Making jam requires only a few ingredients and minimal steps. Some recipes also don't require pectin at all as they make use of the gelling properties of chia seeds! The complexity of the supply chain makes it impossible to know for certain. It can be a huge turn off and make eliminating all labeled animal products seem more difficult. It doesn't do any good for the animals. Many vegan activist organizations including PETA take a similar stance on dubious / impossible to determine ingredients. We've hand selected some of the premium brands on the market for you to check out and possibly try! 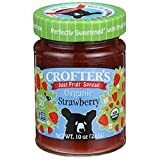 If you're looking for a simply jelly that's very spreadable with little to no seeds - we highly recommend this Crofter's organic strawberry spread. It's sweetened with grape juice and strawberries so it isn't overly sweet and overpowering. If you’re interested, you can check it out here. If you enjoy complex textures and fresh flavors, these strawberry preserves are definitely worth checking out. They are made from Little Scarlet strawberries which currently only grow in the UK. The strawberries are picked and made into preserves within a few mere hours for a delicious final product. Making jelly, jam, or preserves are home is a great way to save money and control exactly what goes into the final product. Also, by using fresh and in season ingredients, you'll have the ability to capture flavor profiles that you're unlikely to find in store bought brands. Many people are often so concerned about protein, carbohydrates, and fats that they don't think about fiber; which for the average westerner is far more important. This raspberry chia seed jam is packed with fiber, whole fruits, and minimal added sugar. This vegan ﻿apricot jam by Dish by ﻿﻿D﻿﻿﻿﻿ish is an easy to follow recipe that delivers delectable results. Apricot jam can be a slightly milder replacement for traditional berry based jams. If you love blueberries and want something that's "jam packed" with nutrients then this blueberry chia jam recipe for you! It's only got four ingredients and very little added sugar in the form of maple syrup.